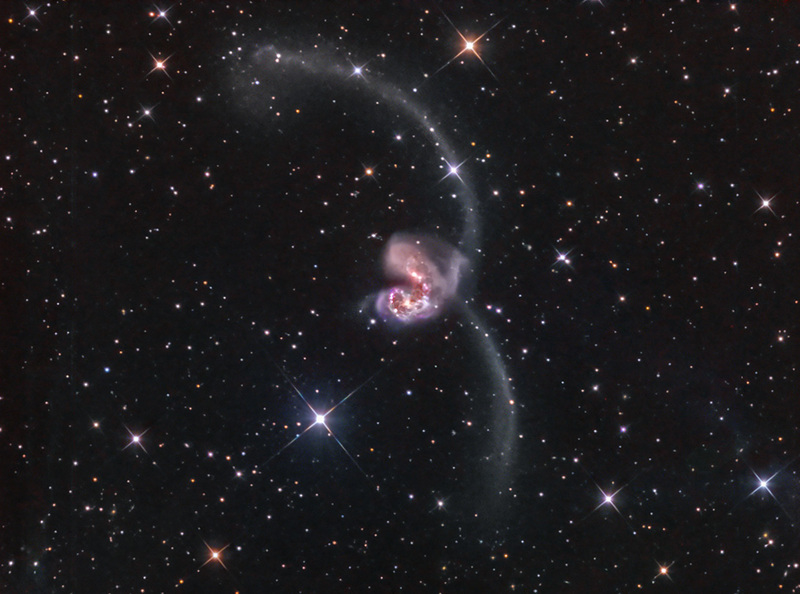 Much like what is happing to the two Antennae Galaxies is the predicted fate of our own Milky Way and our neighboring Andromeda galaxy. The Milky Way, like NGC 4038, is the smaller barred spiral and Andromeda is the larger spiral galaxy. Our two galaxies are currently approaching on a collision course and in a few billion years another galactic "train wreck" is in store!